WaterNSW is working with relevant authorities and mining companies in response to another minor catchment oil spill, the second such incident detected in recent days. 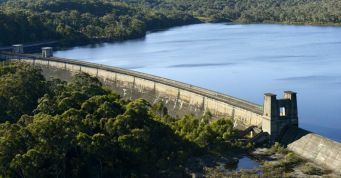 On 22 May a mining company reported to WaterNSW that oil had escaped from disused transformer located on mine-owned land in the Cordeaux catchment. A very small amount of oil escaped; this has been contained on site and poses no risk to water supply. However WaterNSW and the EPA are working with mining companies to identify similar disused assets in the catchment, to improve security at those sites and to remove any residual fluids. Each of these incidents has been reported to NSW Police as they appear to be a result of vandalism to the transformers. WaterNSW personnel have assessed site of the latest Cordeaux incident and taken samples for analysis.